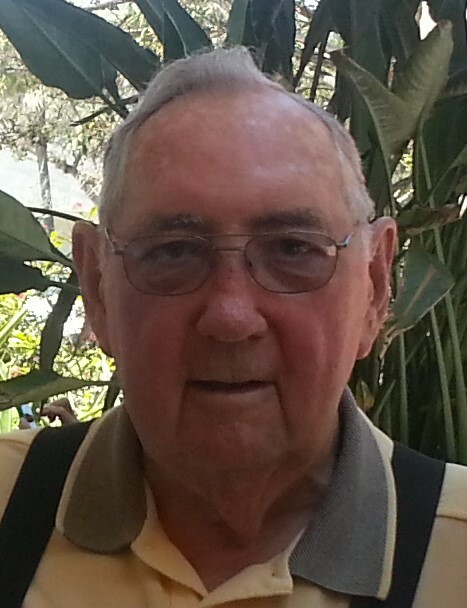 Obituary for Robert Melvin Loudermilk | Fleming & Billman Funeral Directors, Inc.
Robert M. Loudermilk, age 81, Saybrook Twp., died Sunday at the Lantern of Saybrook. He was born January 20, 1938 in Saybrook Twp., the son of Ernest & Margaret (Sunbury) Loudermilk and has resided here all of his life. Robert was married to Carol J. Scott on November 19, 1955 in Saybrook Twp. He was the truck parts sales manager for R. W. Sidley, Inc. in Thompson, retiring in 2007. Mr. Loudermilk enjoyed traveling with his group, “The Six Pack”, camping and his grandchildren and his family. He was a member of the Saybrook United Methodist Church, BPOE Lodge #208 and the Moose Lodge. Survivors include his wife, Carol; four children, Rose Marie Freeborn of Ashtabula, Brenda Sochia of San Antonio, TX, Lorraine (Scott) Sears of Austinburg Twp. & Jennifer (Dan) Snyder of Geneva Twp. ; 11 grandchildren, Kendra, Gary, Jr., Andrea, Brandee, Conrad, Dexter, Ethan, Emily, Cody, Logan & Zakary; four great-grandchildren, Kiera, Madison, Harper & Wyatt; a brother, Harold Loudermilk of Saybrook Twp. and a sister, Evelyn Osburn of Columbus. He was preceded in death by his parents; three brothers, James, Donald & William Loudermilk and two sisters, Elizabeth Petro & Lois Monroe. Funeral services will be held Sunday at 3:00 PM at the Saybrook United Methodist Church, 7900 Depot Rd., Ashtabula with the Rev. Jeff Stoll officiating. Cremation will follow services. Calling hours will be held Saturday from 4-7 PM at the Ashtabula Home of Fleming & Billman Funeral Directors and Crematory, 526 W. Prospect Rd., Ashtabula and Sunday from 2-3 PM at the church. The family would like to extend a grateful appreciation to both the staff at the Lantern of Saybrook and Hospice of the Western Reserve. In lieu of flowers, memorial contributions may be directed to Hospice of the Western Reserve, 1166 Lake Ave., Ashtabula, OH 44004 or St. Jude Children’s Research Hospital, 501 St. Jude Pl., Memphis, TN 38105 or Shriners Hospitals for Children, 2900 Rocky Point Dr., Tampa, FL 33607, envelopes will be at the funeral home and church. The Fleming & Billman Funeral Homes and staff are honored to serve the Robert Loudermilk family. Express condolences, view obituary, send flowers or light a candle at fleming-billman.com.